Joe began his construction management career in Chicago, after graduating from John Carroll University, in the early 90’s. He skillfully converted run-down duplexes back to their former glory of single-family homes in popular neighborhoods such as Lincoln Park and Wrigleyville. It was during these initial years that Joe developed a passion for preserving the style and integrity of older homes ensuring that they be remodeled consistent with the period in which they were originally built. Taking his Midwest values to Portland to pursue his dream of starting his own business, Joe founded Mooney Construction and Development, LLC in 1996 where he continued his passion of older home renovations throughout historic Portland neighborhoods. Joe works diligently to remodel spaces that blend new and old, and modern and traditional styles within all budgets. Joe holds a certification as a Certified Aging-in-Place Specialist (CAPS) and also is highly educated in Eco-Friendly home building and renovations. He is also a “Certified Lead Renovator” with the State of Oregon. 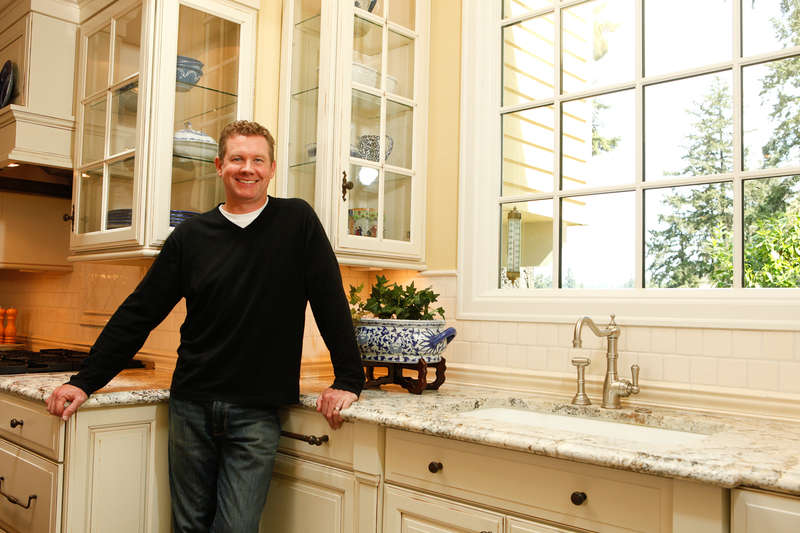 Joe lives in NE Portland with his wife, Aimee, and their 2 sons, in a home he renovated in 2004. Oregon native, Bill Stanley, is a licensed General Contractor. His background experience is in fine finish work of residential kitchens, bathrooms and basements. Bill previously owned and operated his own remodeling business, Old School Renovations, Inc. Bill is also passionate about preserving the past in older home renovations. Joe and Bill work closely together to insure that each unique project is completed as planned and will exceed client expectations. Bill lives in Portland with his wife Melissa and their two sons. Liz has been providing bookkeeping, financial controlling and Quickbooks training services in the Portland area for the past 10 years. She joined the Mooney Construction and Development team in 2011 and works to keep the office running smoothly. Joe is proud of the highly skilled and professional group of subcontractors that he has organized. Each subcontractor is licensed, bonded and insured and has worked closely with Joe for almost 10 years. With each project, Joe’s subcontractors contribute their own individual expertise and keen attention to detail, resulting in the beautiful, completed project work for which Joe is known. Mooney Construction and Development, LLC will work with any client’s architect or interiors professional. If a client should desire interior design management, space planning, materials selection, color palettes and lighting plans, Joe can recommend a number of local Interior Designers and/or Architects with whom he has closely worked on many outstanding projects. For more information on specific individuals, please see the Featured Designer/Architect tab of this website, where Joe intermittently highlights talented partners.